In 2015, Darci Miller suffered severe burns from gas fumes while doing yard work. 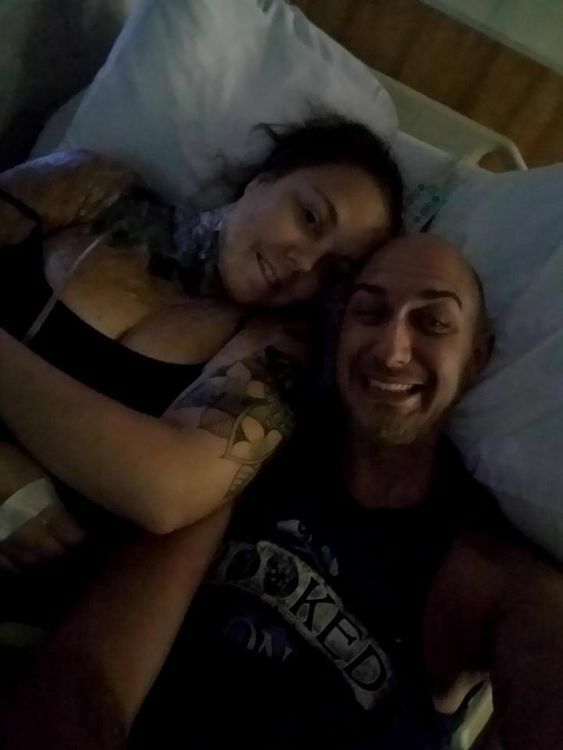 She has undergone nearly two years of medical burn treatments, and after a recent session, she and her fiancé went to the Indianapolis Zoo. There she experienced the encounter of a lifetime. 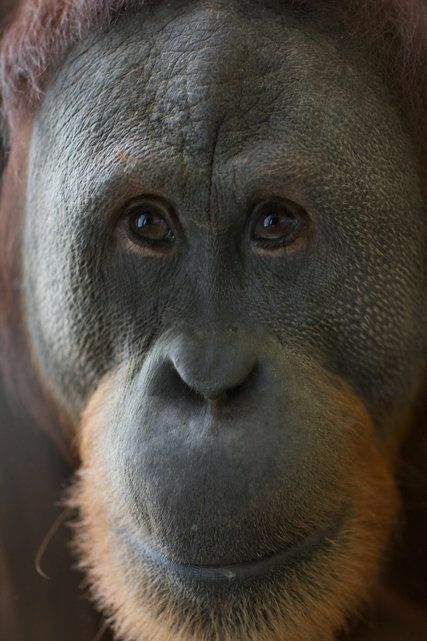 Miller, with her neck and arm injuries covered by bandages, caught the attention of Rocky, one of the zoo's more outgoing orangutans. Rocky approached Miller and stared at her. "He left the group he was with interacting with and came over to a secluded window," said Miller. 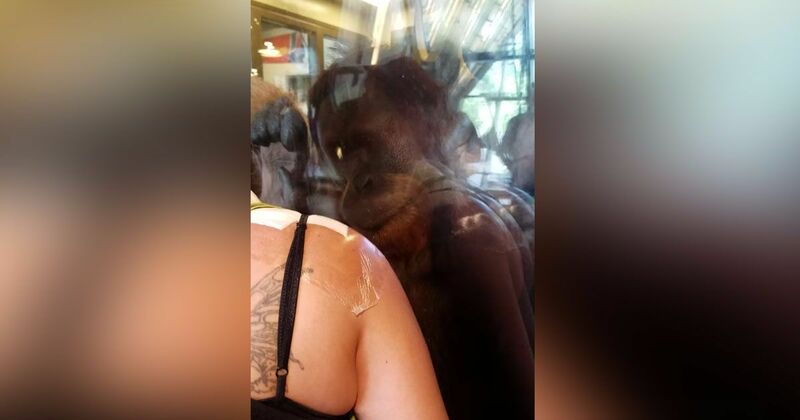 "We went over to that window and he immediately wanted to see everything I had going on." 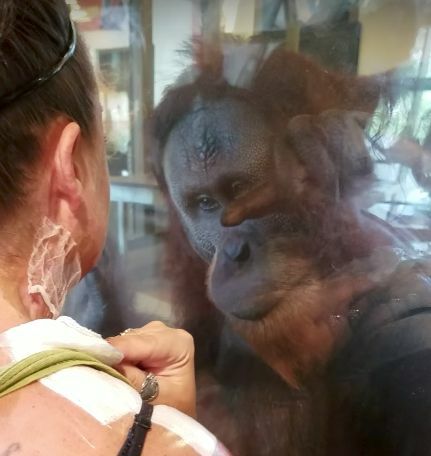 First, the 12-year-old ape looked intently at Miller's tattooed arm, motioning to her that he wanted to see the designs on her skin. Then he took a much closer look at her bandaged neck and arm. "He wants you to show him," said Miller's fiancé, Jason Costello, as he taped the encounter that would eventually go viral. "That's crazy. He wants to see it." As Miller peeled off her bandages to allow Rocky a closer look at her wounds, he pointed at them in amazement. 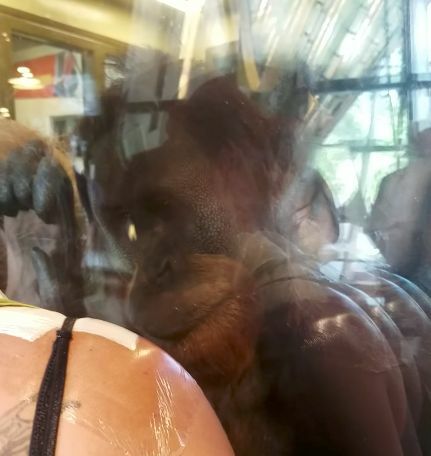 Their interaction went on for some time with other zoo visitors watching incredulously. According to the zookeepers, this behavior is very typical for Rocky. "He was pointing at everything," Miller said. "I was told he doesn't know sign language, but in my opinion it was clear he knew something. He was engulfed in everything I had going on." 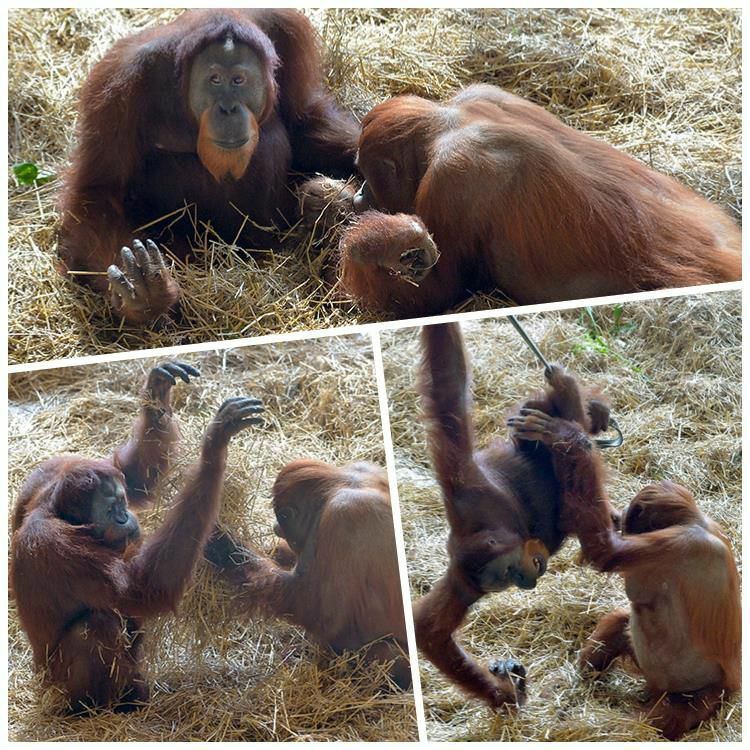 Before they left the zoo, Miller and Costello went back to Rocky's exhibit, just to see if their earlier interaction was a one-time deal. But as soon as Rocky saw Miller again, he came back over to communicate with her. "I've always seen videos of it happening and it's never happened to me," Miller said. "I'd always say, 'This isn't true. This isn't real.' That's why I said I wanted to go back to see if he'd remember me, and he did. It was pretty amazing." 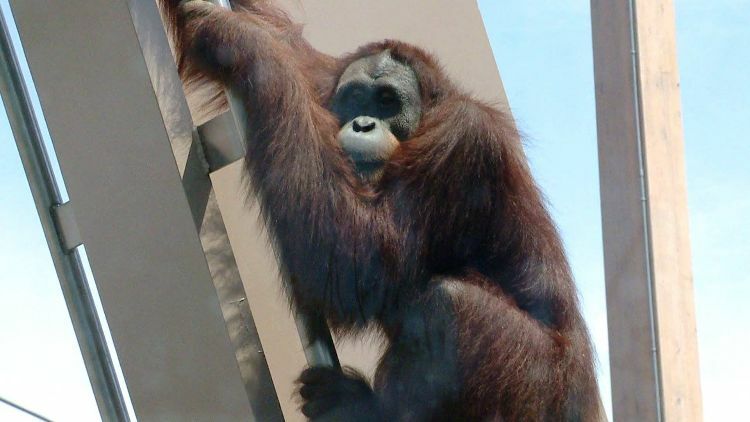 The zoo itself released a statement describing this behavior as normal, but important, for Rocky: "Our orangutans eagerly interact and communicate with people they know well, such as their caregivers," the zoo said in a statement. "Rocky is a bit different. He regularly interacts with people he may not know. The exchange in the video is a great example of this." Rocky has been famous before, most recently for his ability to mimic human sounds and speech. What a fantastic example of two different species interacting with each other! Watch the incredible moment where Rocky communicates with Miller in the video below, then share this encounter with your friends and family on Facebook.